Have you ever wanted a sure way of ameliorating your online reputation? Have you ever wanted a negative review or negative article to stay away from a search engine’s results page? It is hard having negative search results appear about you or your company, but it is just as hard dealing with no results showing up about you or your company. 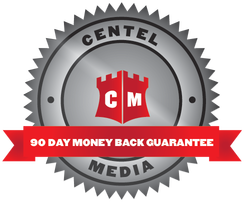 Centel Media is here to help you. 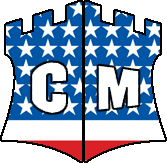 Centel Media is the top online reputation management company in today’s day and age. We have a number of products and services that can either suppress any negativity in hopes of controlling your reputation or services that create publicity in hopes of attracting more potential clients. Our team consists of highly trained professionals with various specialties in a number of fields. Whether you want to make the most of a search engine’s results page or you just want more publicity created for your company, our team can help. Our published writers can help turn your company’s reputation from ordinary to extraordinary by writing press releases and creating articles. These articles will be one hundred percent truthful because they will be coming from the most reliable source, which is you. We have a creative group of graphic designers and marketers available to help you get your name out there. They know what will grab a potential customer’s attention and what you must do to keep that potential customer interested. We have search engine optimization strategists available, which can give you crucial information on how the results on search engines are selected. We believe that every single individual has the right to control what others see or read about that individual or his or her company. No one should ever feel like their online reputation is in the hands of unreliable online sources. Our company has created a number of products and services in order to help you or your company out. We have Negative Article Suppression, Negative Video Suppression, Negative Review Suppression, and Negative Image Suppression that are all used to bury any negativity on search result pages. These products ensure that the first few pages of results lead customers to your site and not to the site of any negative online sources. These along with the Negative Image Takedown product are all used to push back against any unwanted results. We offer Social Media Optimization, Press Releases, Do it Yourself Website Design, Website Design, Blog Creation, Domain Name Registration, Blog Creation, Traffic Blazer, Google AdWords Optimization, Facebook and Twitter Design, and Wikipedia Pages in order to receive more publicity for you or your company. These products will help create traffic on all types of social media sites, blogging sites, and search engines, which create progressive and positive exposure. We know you’ve worked hard on your business and deserve to be in full control of your online reputation.